For those that haven’t come across my business before, I’m Jenny and I’m the designer/maker at Sea Surf Rocks Jewellery. I originally learnt my silversmithing skills when I studied jewellery and metalwork design at Sheffield Hallam University, although since leaving I have continued to teach myself new techniques… there’s always something new I want to learn! During the summer months I’m based in North Cornwall near Watergate Bay and over winter I continue to run my business online from the French Alps. My jewellery is often inspired by my coastal and mountainous surroundings. I’m a self-confessed gemstone addict, which is why I loved my time working for Kernowcraft a few years ago, it was only to peruse my own jewellery business that I decided to take the plunge and leave full-time work, so scary at the time but it has definitely been worth it! I use a variety of precious and semi-precious gemstones as well as sea glass to create my designs, all of which generally come in shades of ocean blues and greens. 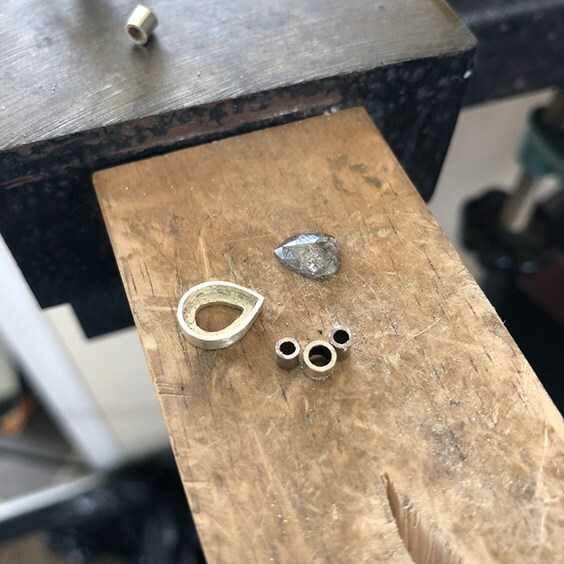 I mainly work with sterling silver but also venture into gold for special commissions and setting higher end stones such as diamonds or Australian boulder opals (which I have the biggest weakness for!) The engagement and wedding market is a fairly new one to me, but one I have found is really rewarding and lets me expand my creativity in a new direction. 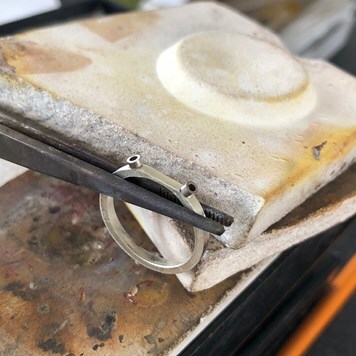 Making an engagement ring for someone can seem incredibly daunting at first and I was no exception to feeling the nerves on my first one. 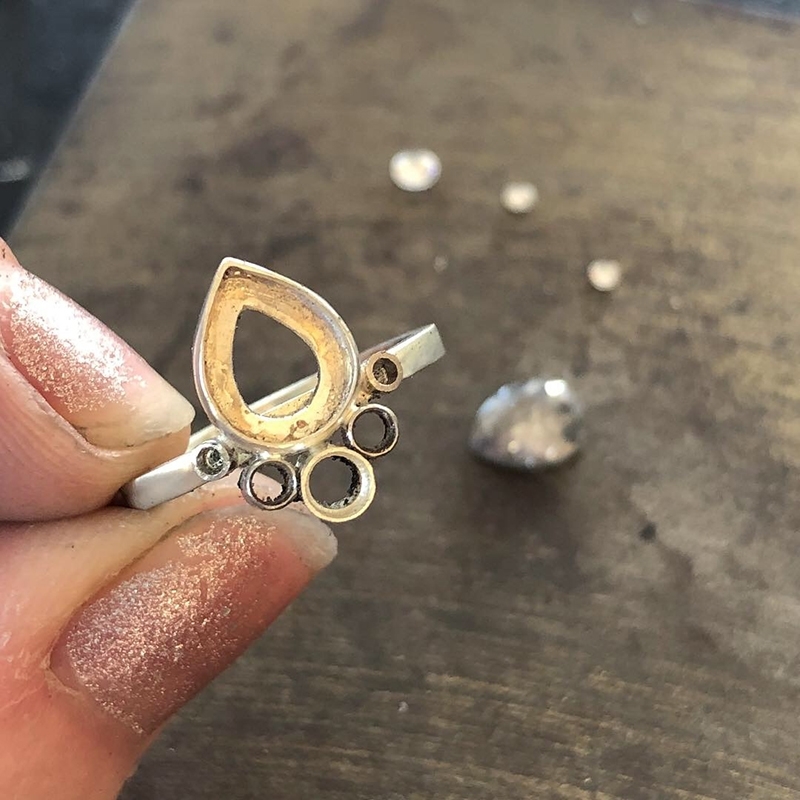 You want it to be perfect as much as your client does, but taking the time to plan it out, make test pieces if required and give yourself enough time to make it, you’ll be fine! Normally the first thing I discuss with my client before starting on the design process is their budget, what sort of style ring they’re after and the time frame they’d like it ready by. It’s important to remember you don’t have to take on every enquiry that comes your way, I had a few that would compromise too much on my style so I have respectfully declined but suggested an alternative jeweller who would better suit what they’re after, it can be a bit stressful to put yourself too far out of your comfort zone on a commission so important, especially if you’ve not ventured into the wedding and engagement market much before. 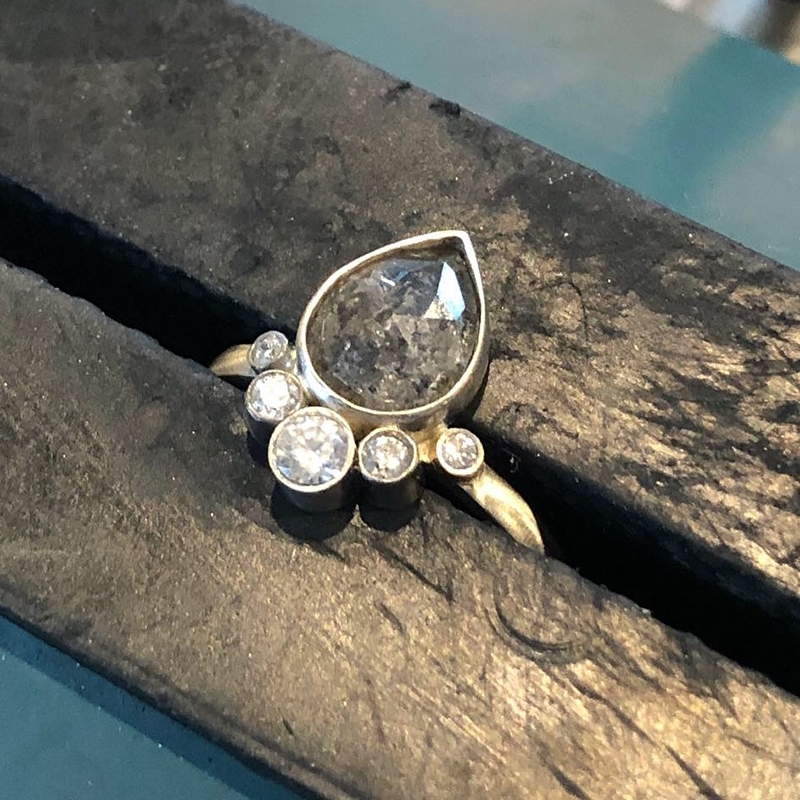 My latest bespoke engagement ring was a little different to normal, as this one was for someone very close to me, my twin brother asked me to create a ring for my future sister-in-law. Luckily for me on this one I had a bit of background on what sort of styles she liked, which made coming up with some designs a bit easier. I knew she wanted a non-stereotypical typical diamond and design so was super excited to have a play around with ideas and stones! For this ring I didn’t have a fixed time frame, once we’d settled on a design it took me a few months to find the perfect stone and then once I had that I could start making the ring. I’m a bit of a traditionalist when it comes to the design part, I like a pen and paper and to just pull ideas out of my head and put them on a sketch pad (fortunately for me my making skills are a notably better than my drawing ones). The sketching part was just stage one in the design process for this ring as I hadn’t actually made anything quite like it before, I then had to do some test pieces in silver to find the best way of constructing it (this also included me having to learn how to set very close fitting tube settings). 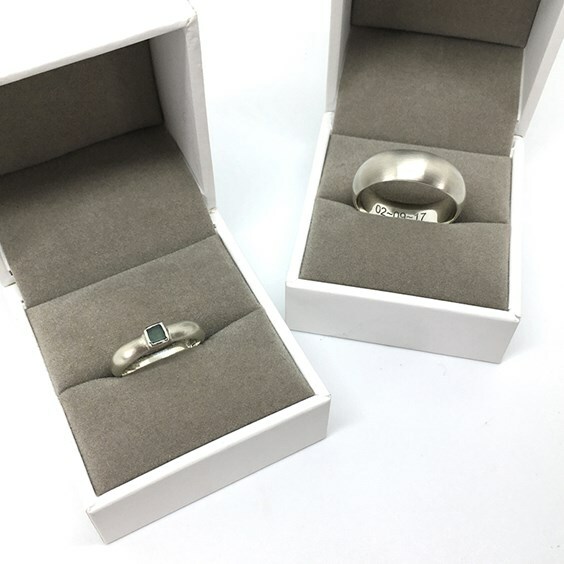 I can’t stress how valuable making a test piece is, silver is a lot cheaper to replace than gold if you happen to get it wrong first time and if your client knows you’re making it it’s also a great way to double check the sizing is right. I took photos to document the making process of this ring commission because I knew my brother and his girlfriend would appreciate the various stages that went into making it and thought it’d be nice for them to look back at it together once he’d popped the question. It also allowed me to keep him up to date with progress and check he was happy with the direction it was going in so I could make any alterations if necessary… fortunately he (…and she) was thrilled with how it turned out. 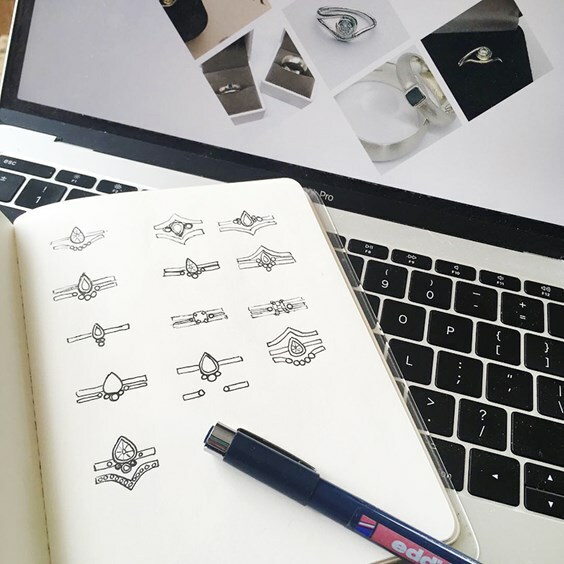 Be confident in yourself, someone looking for a handmade engagement ring doesn’t necessarily want perfection, they want something unique that’s handmade with love. Don’t be afraid to say no, you don’t have to take on every enquiry that comes your way, I’ve had a few that compromised too much on my style that I wasn’t comfortable taking on as I didn’t feel I could do them justice. Plan, test, then make, knowing exactly how and what you want your finished ring to look like makes the process a whole lot more enjoyable. It doesn’t always go right first time, don’t let this put you off, take a break a go back to it with a fresh approach. If it were that easy everyone would be doing it! At Kernowcraft, we have a stunning range of diamond gemstones to choose from. Whether you're after diamond faceted stones, rose cut cabochons, crystals or beads. 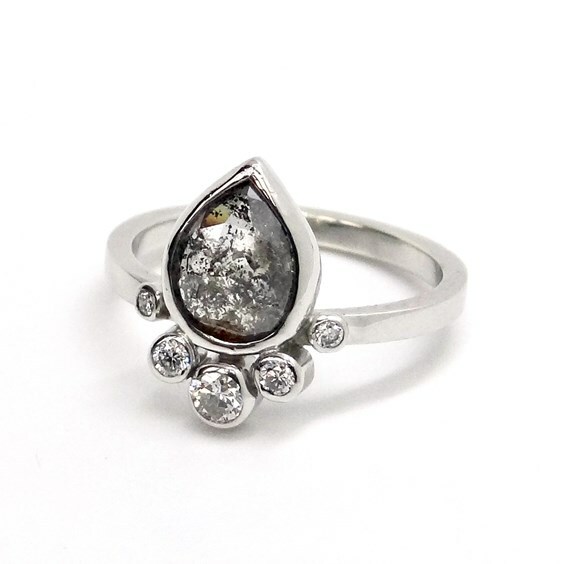 We also have a beautiful collection of salt and pepper faceted diamonds, which would be perfect if you're after a non-traditional engagement ring such as Jenny's. All of our diamonds are conflict free and come from ethical, trusted suppliers. 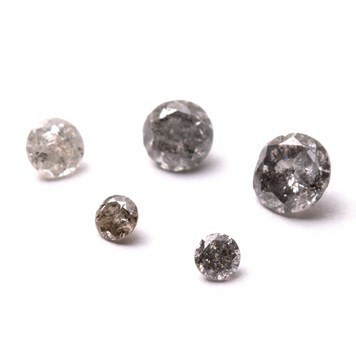 We're thrilled to offer a selection of salt and pepper faceted diamonds in a range of sizes. 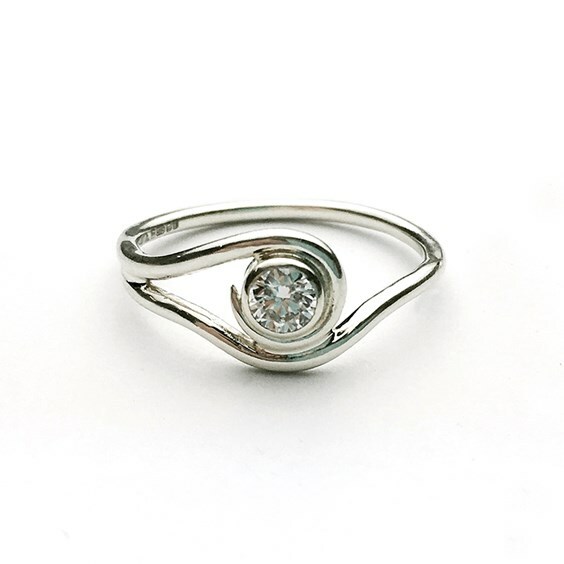 Perfect for an individual engagement ring, each one has natural flaws making them unique. 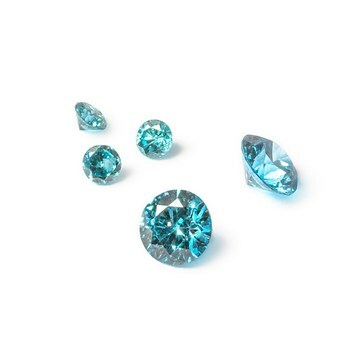 These genuine blue diamond faceted stones have such a beautiful colour, quality and sparkle! 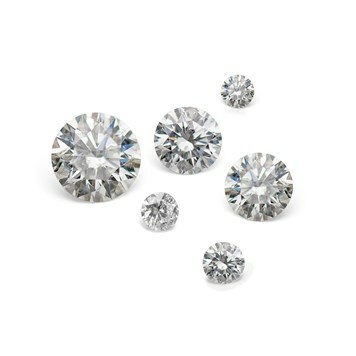 If you're after a more traditional diamond, these faceted diamond stones are a perfect choice. They have a bright white colouring, with a stunning sparkle and clarity.